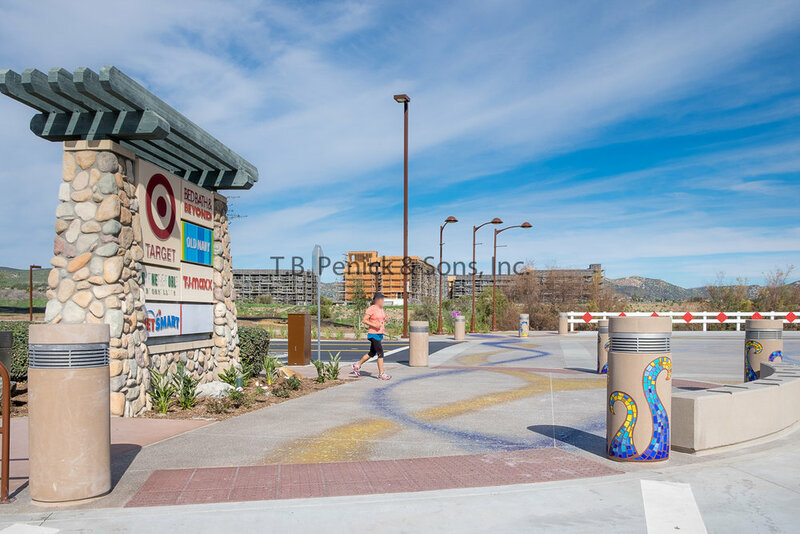 From the city’s desire to grow and develop in a thoughtful way, came the City of Santee’s “River View Office Park Master Plan.” This plan details the continuation of development over the next ten years, and the “Enhanced Crossing” (which we refer to as Santee Town Center) portion of the plan refers to a major road intersection that connects the existing south side of the city to the burgeoning new north side. 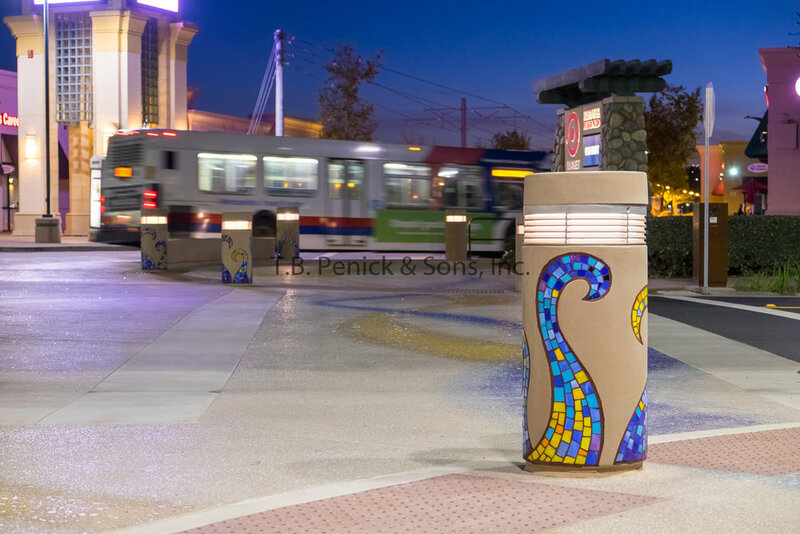 The Artist worked closely with the Landscape Architect from Estrada Land Planning, Joe Esposito to complete the design that met the City of Santee’s design intent. T.B. 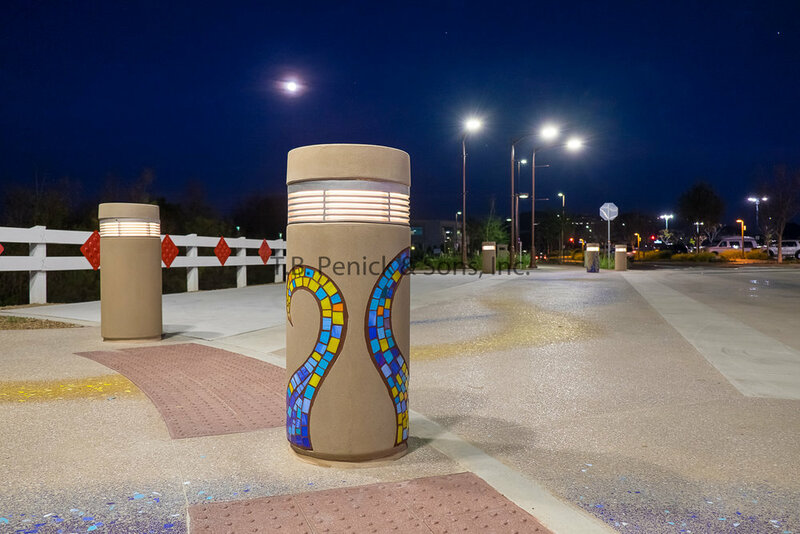 Penick prides itself on getting to know a project from design to development to make sure that we identify any potential issues that might arise and that there is a smooth transition from design to installation. In addition to the open lines of communication and frequent meetings, we provided physical samples and mock-ups so that everyone could see, touch and visualize what the final project would look like. 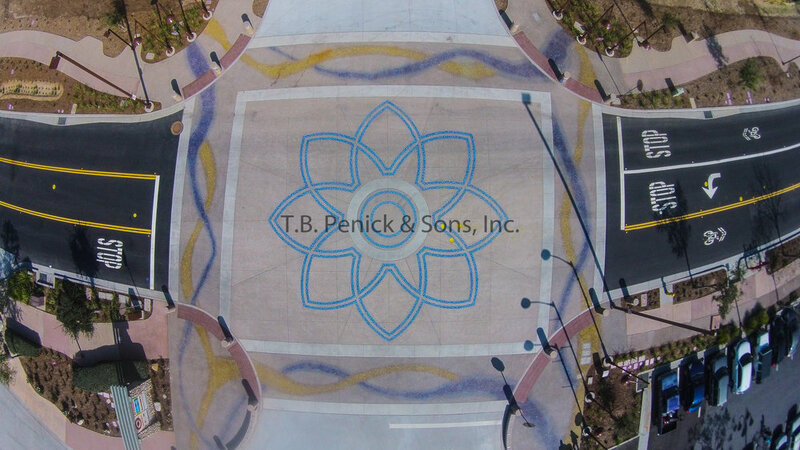 One of the challenges we had to overcome within this project was changing our means and methods to be able to install a LithoMosaic of this magnitude in an MTS right away. 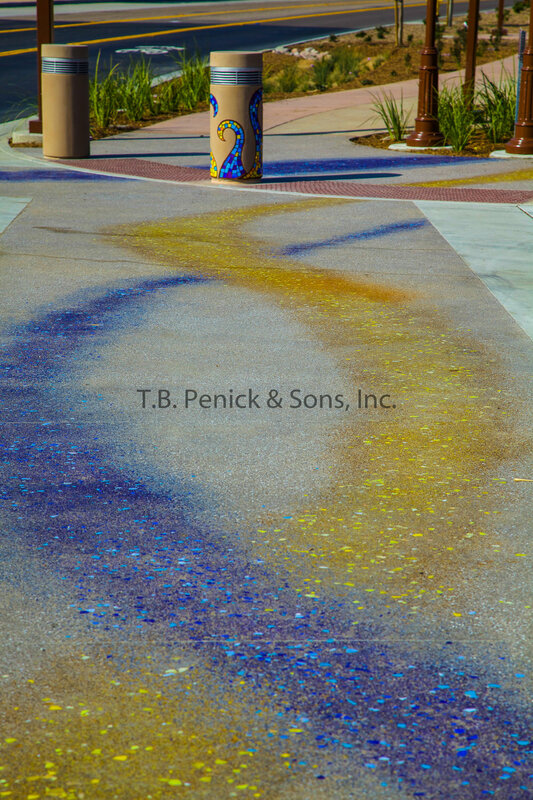 To overcome this, we developed an innovative tool that could lift and install each large piece of the Mosaic flower petals precisely. This tool was necessary because each LithoMosaic piece was comprised of 8 petals, each of which measured 15’ x 15’. We were thrilled to be a part of this artistic and challenging project and are proud of the innovation, creation and collaboration by all participants, which contributed to its success!